Black Motor Honda Revo 2010 Baru is Motor Revo Deluxe. PT Astra Honda Motor (AHM) renew the face of Absolute New Honda Revo 110 DX became more stylish so it looks very exclusive and dynamic. Absolute Honda Revo 110 DX is currently the highest variant in 110 Revo motorcycle segment under the 125cc engine capacity. Marketing Director of PT AHM Julius Aslan said motorcycle model is still the idol of society in the homeland. 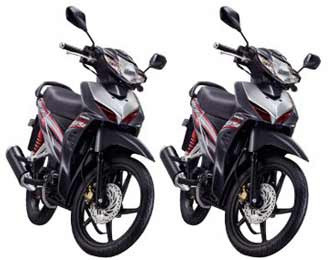 Therefore, it offers a new design Revo Absolute DX Honda products is expected in accordance with the wishes of consumers. New Absolute Revo 110 DX is the answer for people who want a bike with an exclusive new look, fuel efficient, and powerful.